i don't know if i can put into words what's been hovering in my mind recently, well not just recently but i think this happens time and again when i often get lost in my own haphazard thoughts. i have been away from home, my real home where i have spent my first 11 years of existence, for quite a long time already. if you care to do a simple math, i'm a couple of years past the mid-20s mark and that means i have been away for more than half of my life. of course, i have been going home for intermittent periods within this span of time but nothing beats the idea of staying at home for most of the year so to speak. remembering my young mind in the '90s era, i had high hopes and dreams then, making up stories on how my young adult life would be like and to my bewilderment up to now, i had even made up stories of my so-called love life! hmmm... or was it during high school? because during that time, i had engulfed myself reading almost 1 novel each day and most of these novels were my mother's mills & boon paperback novels that she acquired during her single years. oh well, i don't know. i sort of mixed up my old memories that had been put away in the dark recesses of my mind. 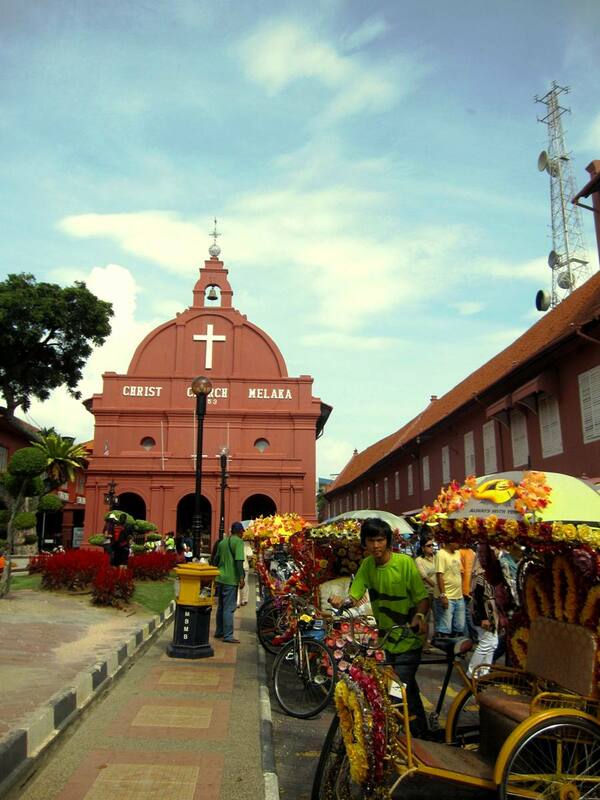 and back to what this post is all about, malacca! or melaka (in malay). the city itself has been listed as a UNESCO world heritage site since 2008 based on its wiki entry here. it well deserves this honor as it has a rich heritage, having been under the rules of dutch, portuguese, and british. on top of its fusion of cultures, is its very evident chinese influence on the melakan food, festivals, design of their houses and everything that sets malacca apart from the other malaysian states. 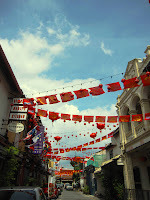 true enough, breinn and i found ourselves to many closed shops, museums, cafes and restaurants in malacca during the chinese new year festivities. although, we were not alone in this circumstance for there were also a lot of tourists who probably chose to experience on how malacca celebrates its chinese new year. 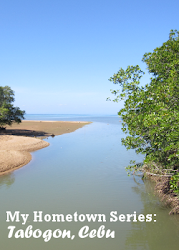 the melakans might have gone somewhere else for the holidays and we, the tourists flocked to their little city to fill in. i have once again chosen the starmart express bus service during my recent trip to malacca. the first time i booked with them was during my kuala lumpur trip with my brother. our kuala lumpur-singapore round trips were both comfortably uneventful except on the fact that we never had a stop-over during the 5-hour ride. and i definitely prepared myself this second time around! to keep myself from squirming due to some probable nature calls, i only took a sip of water just to get me through the long bus ride because sadly, everything in its liquid state is diuretic for my body. i even expected that it would take much longer to reach malacca because breinn and i scheduled our trip the day before the chinese new year. there would likely be a horde of people who want to cross the border, in immigration exit points. if you can't see the start and end destinations (i have no idea how to zoom out the view by default. ), kindly click on the "-" button to see them. there are many bus companies that ply the singapore-malacca & vice versa route and there are even travel agencies that offer a 1-day tour from singapore. it's like saying "hello & goodbye malacca!". bus rides are comfortable and relaxed, along conveniently-laid out expressways. oh yes, here i go again, just popping out of the blue! even the graph of my stats screams utter boredom and it's going down down... well, i'm just glad that it hasn't reached zero yet. haha! two occurrences had probably somehow pushed me to continue writing a disarray of words and thoughts. first, i followed lonely planet on twitter and to my disbelief, it followed me back! yeah, probably it just follows anyone who follows them but still, it's lonely planet! haha and with that, i rest my case. second, paulo coelho's blog post on travel found its way on my facebook's news feed, courtesy of the sole sisters' facebook post and i couldn't agree more on his thoughts on travelling. but before i get lost in another long introduction which i likely do every time, here's my itinerary on my recent trip to malacca, malaysia during the chinese new year. breinn was with me, so yeah!